It’s the last day of our annual Labor Day Sale! Enter Code: SPARKLE in our secure shopping cart, click “Apply” and Save 15% through Midnight EDT tonight (Tuesday, September 2)! New RapunzelStix Added to the LongLocks HairSticks Catalog! 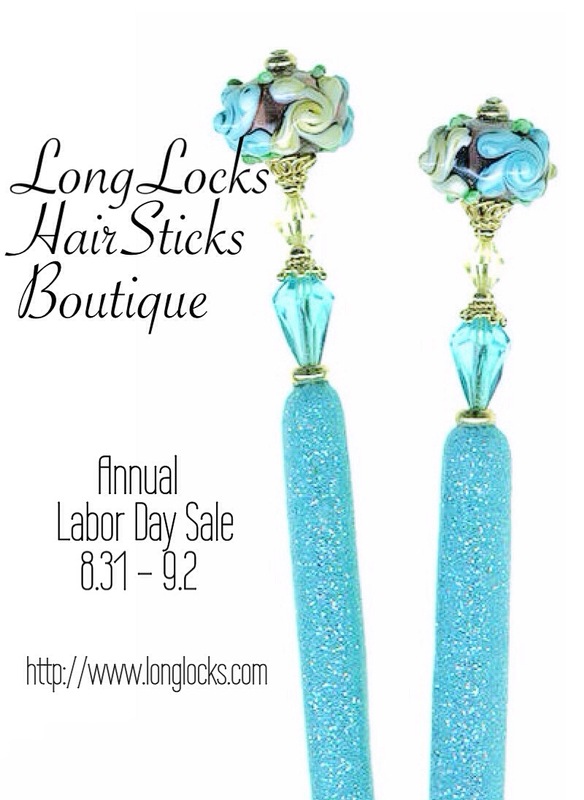 LongLocks 14th Anniversary Flash Sale! New LongLocks ShimmerStix Enter Private Preview, Sell Like Hotcakes! Thank you for a way awesome LongLocks style launch Collectors, you sooo made my week month!